MANILA, Philippines - The suspect in the killing of a good samaritan Grab driver in October was presented by Philippine National Police (PNP) Chief Gen. Ronald Dela Rosa to the public on Wednesday, November 8. 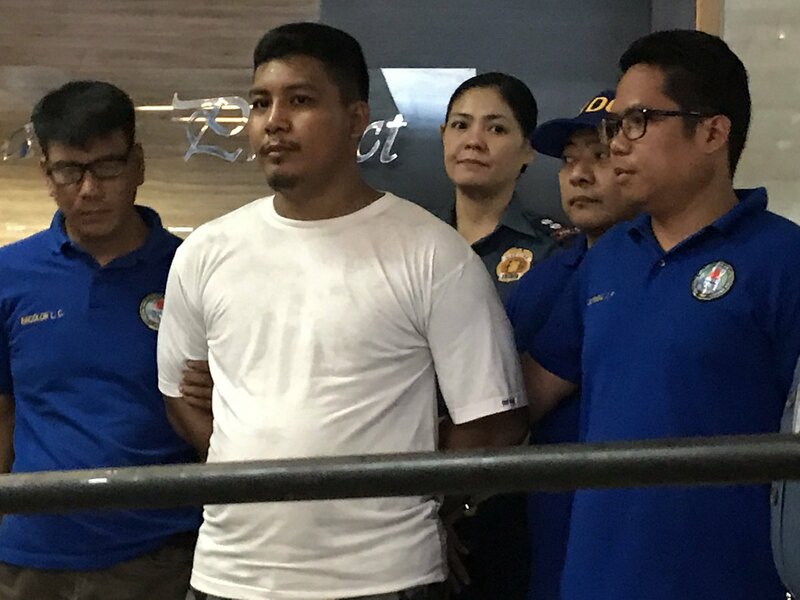 The suspect identified as Narc Tulod Delemios, alias Miko admitted to the killing but stated he did not intend to kill Gerardo Maquidato Jr., who was also kicked off from his vehicle as the carnapper sped away. “Napakasipag niya. Parang hayop ang ginawa mo sa kanya. Pagsisisihan mo nang habambuhay ang ginawa mo,” the very emotional mother cried. Meanwhile, the PNP recovered Maquidato's car in Tarlac. Chief Dela Rosa already suggested that Delemios be subjected to a drug test. Delemios was arrested on Tuesday, November 7 at his home in Pasay City. The key to the arrest was when his lived-in partner went and confessed to the authorities that her phone was used to book the slain Grab driver. It was also found out that Delemios has a standing arrest warrant for a homicide back in 2015. Delemios killed a certain Gino Balbuena after a petty fight during a basketball game. The relatives of Balbuena also presented themselves to the Pasay City Police to testify.